Star Soldiers is an Omnibus Edition of the Central Control series by Andre Norton. When the human race finally began to explore interstellar space, they found that they were not alone. They also found that they were outclassed by a very old Galactic Empire. They were forced to be part of the Empire and given a role that was deemed best suited to their temperament… Mercenaries. As a human, the only way to visit the stars was to do so as a warrior for hire. Kana Karr has trained all his life to become a Arch Swordsman, one who fights on a more primitive level than the high tech Mech soldiers. He signs up for his first tour and finds himself on the planet Fronn, where conditions are harsh. Surviving that may end up being the easy part, as the rules that Central Control has put in place to govern the hiring and employ of soldiers seems to have been betrayed. The main premise is one I have seen before. Written in 1953, I am assuming it must have been an influence for several other books I’ve read… Old Man’s War by Scalzi, The Stars Came Back by Rolf Nelson, maybe even the Uplift series by David Brin. It’s hard to find truly new ideas in Sci-Fi. The story itself, at least the part that takes place on the planet Fronn, is apparently a retelling of Xenophon’s Anabasis on an alien world. I didn’t know this when I began, but I looked it up after and realized I had just read a history lesson. 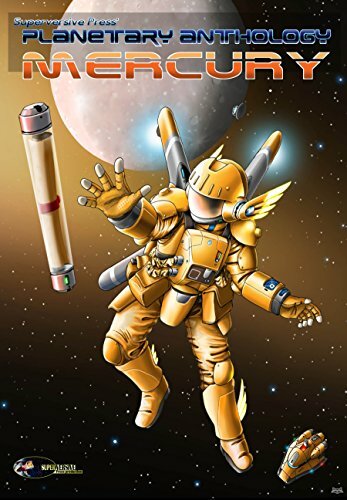 Overall, the book was good, and I can recommend it to anyone looking for a nice Action Adventure Sci-Fi with a twist of Space Opera. I give it 3.5 stars and call it a Good Read. The second installment (first written, but second chronologically) takes place some four thousand years after the events of Star Guard. It is now the final years of the mighty Galaxy spanning empire whose decadence and spread have brought it to collapse. A fanatically loyal group of Space Corp personnel are sent on one last useless and poorly supplied mission into the ancient outskirts of the empire. There, they crashland on a verdant planet where the Rangers, whose job it is to explore the wilds, must convince the strident Corpsmen that the ship and the space-faring way of life is done. An adventure begins that explores the changing of mindsets. Survival in the wilderness, integration of different species, and the acceptance of differences in abilities are wrapped in an unfolding mystery of the planet that is both unknown, but hauntingly familiar. I was kept entertained by this book the whole way through. It changes pace several times, and has varied sub-plots that should interest anyone with an action adventure or sci-fi taste. If you are looking for a shoot-’em-up, this is not it. It is more heavily lent to intrigue and sporadic action than that. It is a good book, with a good story and a hopeful ending. I give it 3 stars and call it a Worthwhile Read.